Didn’t do a lot today. I had the energy of a pine needle. Must be the change in weather. I should migrate with the winter so I stay cold. 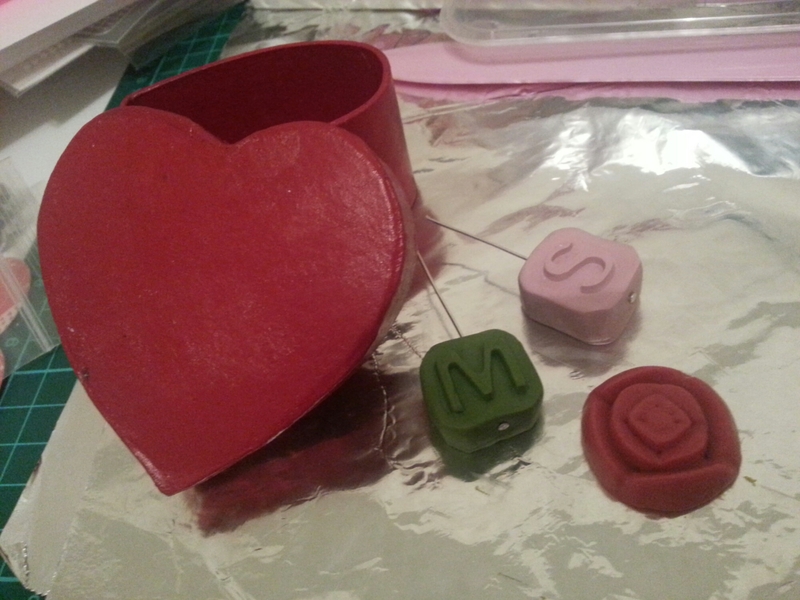 I felt like doing some polymer clay pieces, but only got as far as warming up three pieces of clay to push into moulds. Being silicone moulds I know it’s possible to bake the clay in them, but I like adjusting the clay, and they pop out easy enough before baking. I’m not good at mixing nice pink colours, so I’ll probably paint the S after I bake them and I’ll need to sand the back flat. While I was cleaning, I found one box that hadn’t been painted, so I found a lovely red that suited the heart and got to painting. All these boxes that I paint will come in handy for gifts or selling eventually. 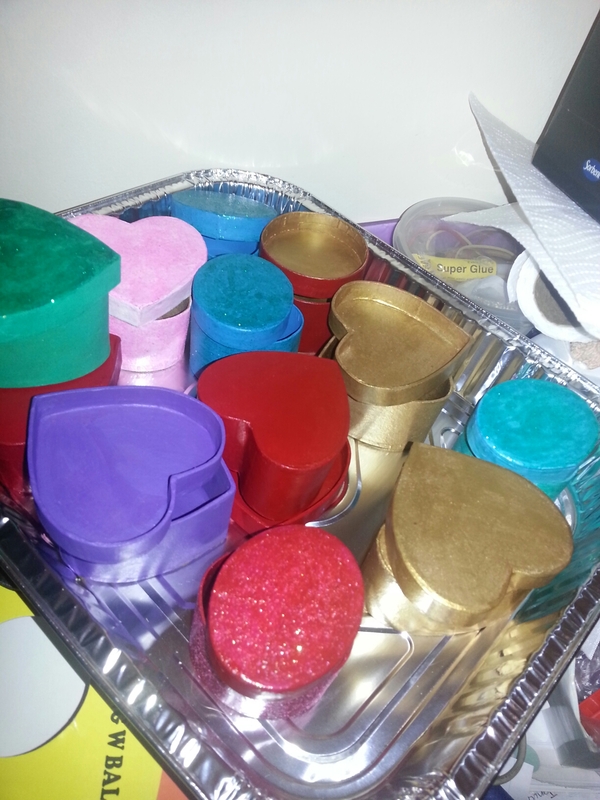 For now, I have a whole drawer full, and will continue painting them for the fun of it. Phew. Just finished. Spent most of the day painting, and my back knows it. I did plan to do resin today, bit my asthma was playing up a bit, so my partner assigned me a project. 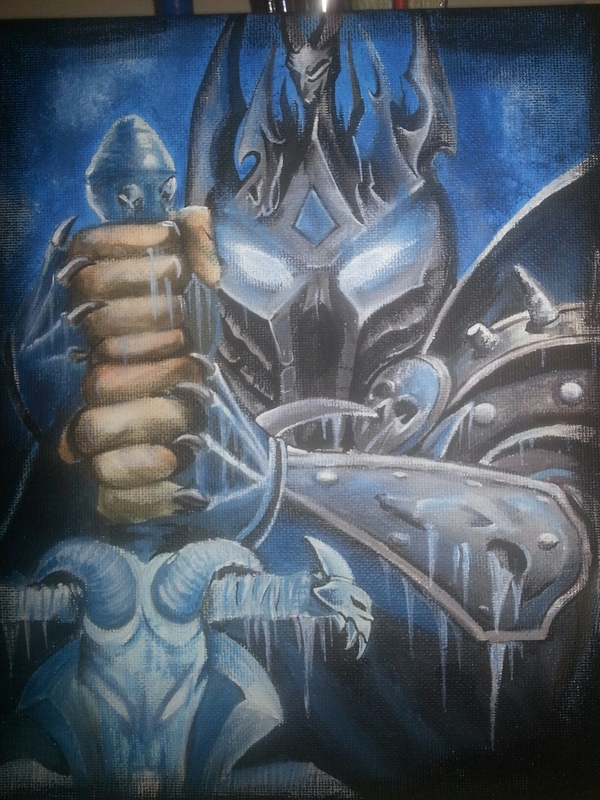 He plays World of Warcraft and is a big fan of the Lich King, Arthus. I decided to call this painting Art-hus. Hehehe. It’s quite small, smaller than letter size paper. My partner was impressed half way through, only because he said he’d have given up from all the effort already. Not sure if he was trying to compliment to my talent or my patience. Really bad picture of the glass things I made. I might turn them into magnets unless I can think of something else before I find my magnets. I made some Christmassy ones that I thought would be good for sticking Christmas cards to the fridge. I might try using some ring bases that I have. I’m not sure they’d be great on cards, being rather heavy, but that would look nice. I did use licenced characters, but I’m not going to be selling these and thought they’d be nice as gifts. “Wow you made headphones?” I hear you say. No, silly, I painted in the debossed design. My partner, is rather picky when it comes to technology. 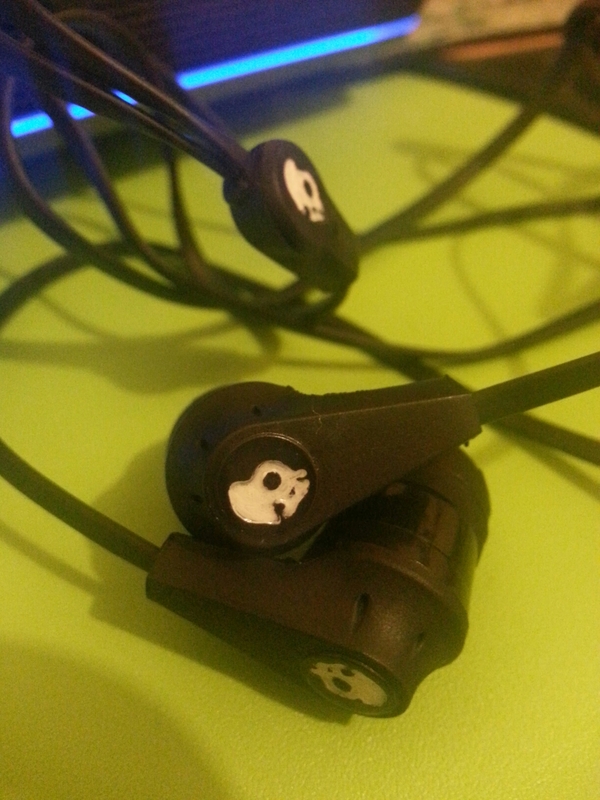 So his phone is black and white (like a stormtrooper, he says) and he bought a new pair of Skullcandy headphones that he wanted to match, but the white and black ones were more expensive for some reason, so he got the plain black ones. He was complaining about this again once they arrived in the mail today, so I offered to paint them for him. I used white acrylic paint and my smallest 20/0 brush with no water. 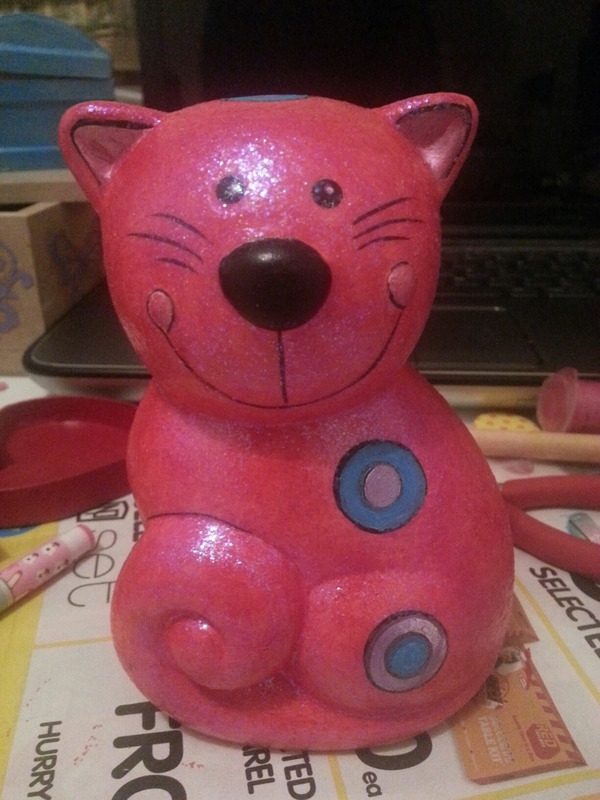 I also coated it with a sealer. I’m not sure how durable it will be, but I’ve asked him to tell me if the paint chips or anything. He was happy with the result and I was quite pleased. Lucky my hands weren’t shaky today. I even named the skulls- Squinty, Jack and Bob. Bottle caps and glass stones. 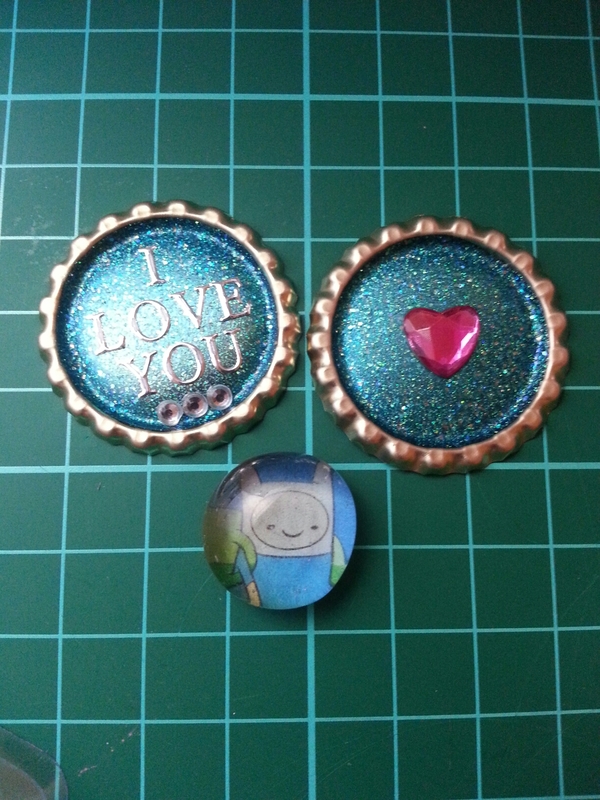 I made these yesterday but I waited till the glue was dry so it didn’t look weird when I showed you. I’ve been preparing bottle caps for resin doming…which I will get to one day. With these two, I made a pair so they will match when I glue them back to back. 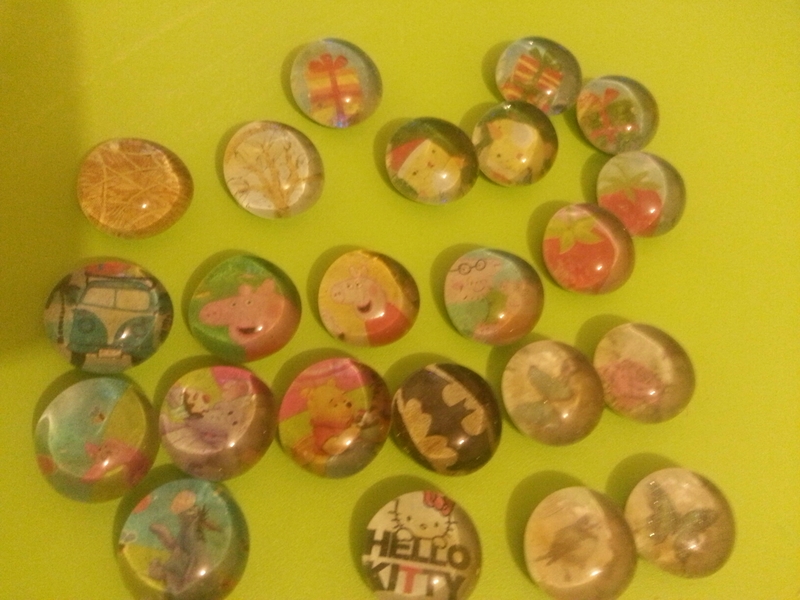 I poured glittery nail polish into the flattened bottlecaps and after a few days, decided to used alphabet stickers and gems to decorate. I like the pink and silver against the turquoise blue. The bottle caps seem to have a coating that isn’t quite gold and isn’t quite silver, so I can use either gold or silver decorations and fittings. 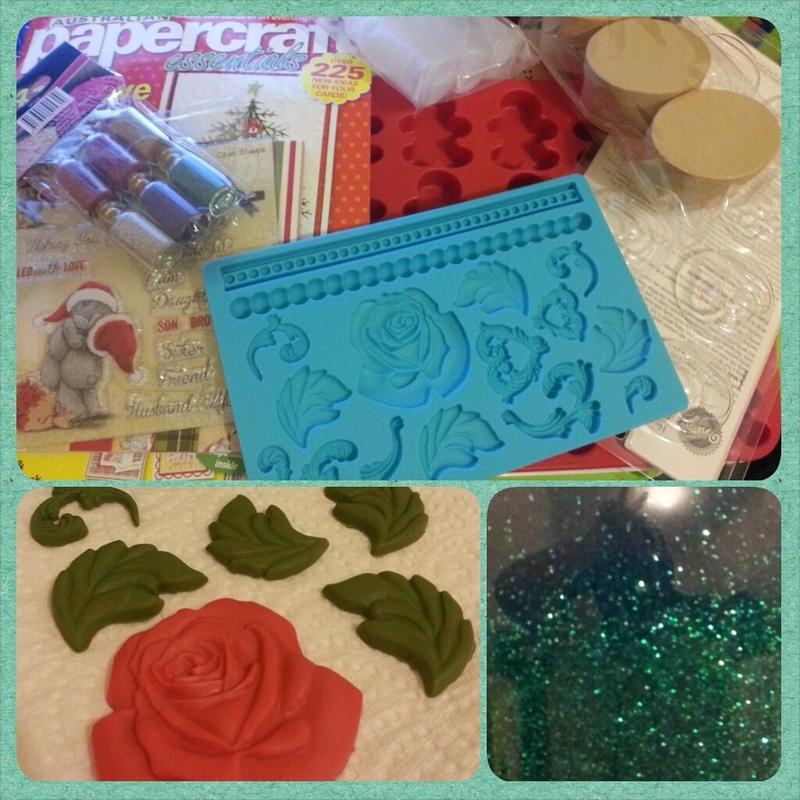 If you’re wondering how to flatten them, I use my big shot on I think the embossing folder platform. Make sure you buy the unused crown seals in the beer making or craft section. 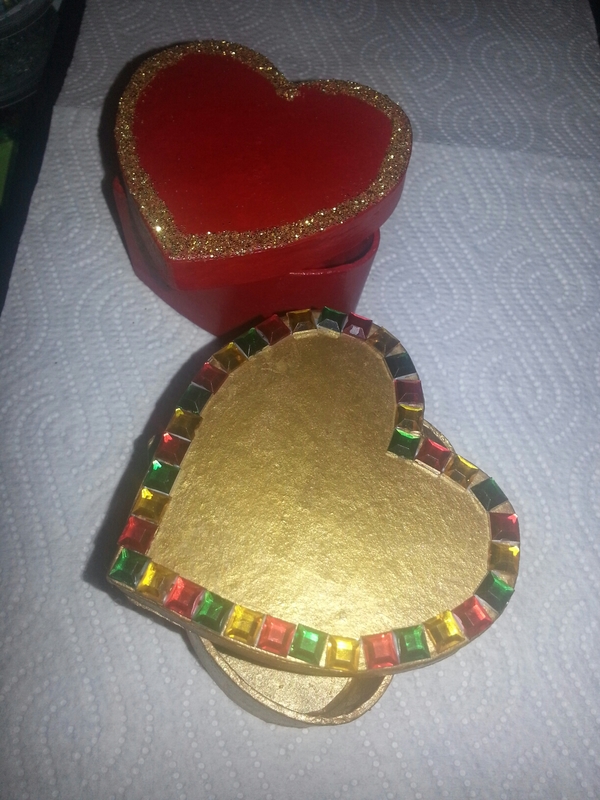 As for the glass stone, I followed a tutorial on making gems out of catalogues. I had done this technique before, but it inspired me to look through some catalogues to use them up. It turns out that the shops are beginning toy sales for Christmas already, but this gave me a few Adventure Time, Hello Kitty, Winnie the pooh and Peppa Pig images to play with. Unfortunately, the stones I had had a slight blue colour to them, which distorts the colours. Maybe I’ll look for larger, clearer ones since this is a fun and easy craft.